Born in Taiwan, Dorian made her New York solo piano debut at Carnegie Recital Hall as Winner of the Thirteenth Annual Artists International Competition. Dorian received her Master of Music Degree from The Juilliard School of Music, Concert Diploma from the Vienna Academy of Music and Art and holds a Ph.D. in Piano Performance from New York University. Her teachers include Beatrice Beauregard, Martin Canin, Eugen List and Bruno Seidlhofer. She has performed as a soloist with numerous orchestras in the U. S. Concerto appearances also include the Fine Arts Orchestra of Taiwan, Moscow Chamber Orchestra, Slovak Sinfonietta, the State Chamber Orchestra of Kazakhstan, the Franz Liszt Chamber Orchestra of Budapest, the Bohemian Chamber Philharmonic of Czech Republic and the Kiev Symphony Orchestra and Chorus. Recently she performed with the Shanghai Symphony Orchestra in a sold out concert at Shanghai Grand Theater. She has also performed at Alice Tully Hall of Lincoln Center, Davies Symphony Hall, Herbst Theatre, Atlanta Symphony Hall as well as in Japan, China, Austria, Russia, Switzerland and the Sun Yat Sen Memorial Hall in Taiwan for former President Chieng Ching-kuo. Her chamber music performances included concerts with the St. Petersburg String Quartet and frequent appearances with the members of the San Francisco Symphony. She has recorded the Robert Schumanns Piano Concerto with the Bohemian Chamber Philharmonic and the Dvorak Piano Quintet with the Stamic String Quartet of Czech Republic. Last month, Dorian performed and gave a master class at the Shanghai Conservatory of Music. 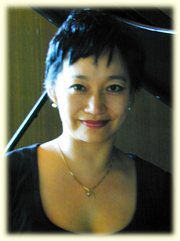 Since 1988, she has been a faculty member at the San Francisco Conservatory of Music.